We train our customers to use less fuel per unit of output: increasing profit. 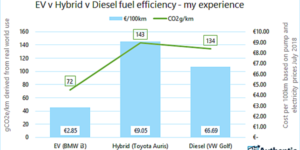 Fuel and energy performance management: ECOfleet and 50001 deliver sustained savings. Alternative fuels or electric vehicles? We can advise on, measure and verify the vehicles and/or infrastructure. Our training is interactive, supported with workbooks, templates and tools: Auditing, ECOfleet, 50001 or ECOdrive. You can install Contact Form 7 plugin and go to Customiser → Section: Contact → Section Content to show a working contact form here.